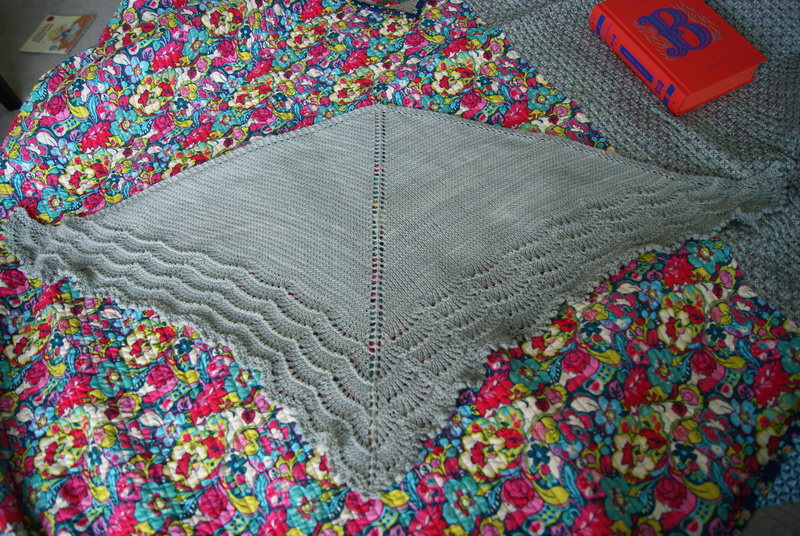 This was the first lace pattern I’ve ever knitted, and my first “shawl”. It was much less difficult than I thought it would be! I also thought the finished object might not be so useful. “Good practice,” I thought, and then I thought it would stay folded in a drawer. Not so! I wear it all the time! It looks great over a tank top and bare shoulders (so I can only assume it’ll look great over a summery dress), but it also looks fantastic over a sweater and under my fitted cloth spring jacket, worn like a scarf. 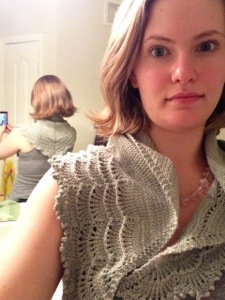 Finally, I’ll just mention that you can get this lovely pattern by Mindy Wilkes free on Ravelry. Try it! 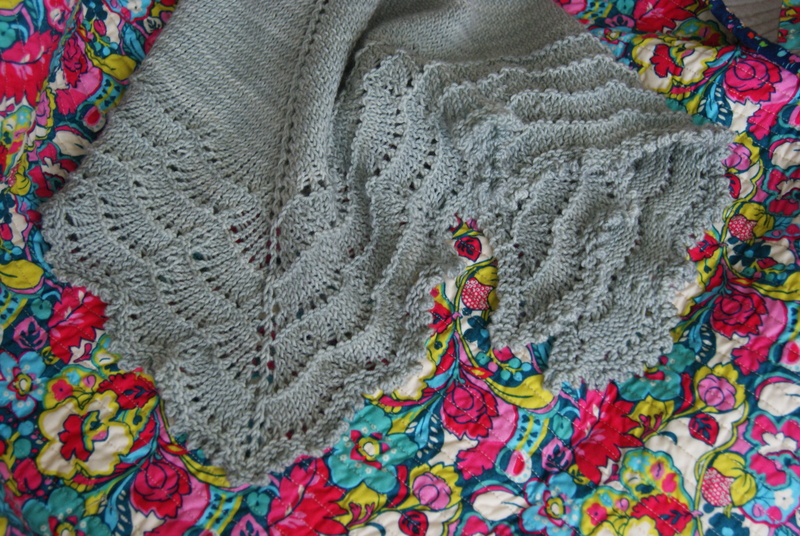 I think if you can knit and purl and kind of keep track of what row you are on, you can do it.